let at handtherapy get you back to your best. We are Cuong and Anna, a husband and wife team who are are passionate about helping people regain the full use of their hands. Our therapy skill’s and experiences compliment each other well. It has been a dream to work together and open our own practice for some time. Now seems like the perfect opportunity as Cuong is the only registered hand therapist working in the Wairarapa. He currently provides a satellite hand therapy service twice a week, based at Wairarapa DHB. We are both incredibly passionate about healthcare. We believe that patients should have timely access to hand therapy services and feel well informed and involved in their treatment. We are very client-focused - good communication and people skills play a big part in this. Cuong is a registered hand therapist with a background in Occupational Therapy and over 17 years clinical experience. 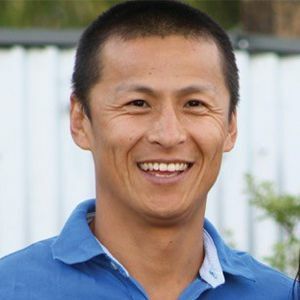 Cuong completed his Occupational Therapy training in Sydney, before moving onto London for 6 years. Cuong completed his hand therapy training at AUT while working at the Burns and Plastics Unit at Hutt Valley DHB. Anna is a physiotherapist with extensive health clinic management experience. 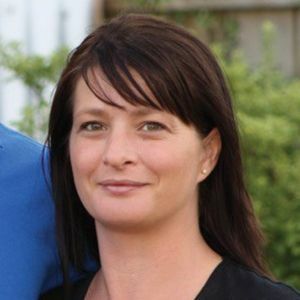 Having graduated with a degree in physiotherapy from Otago University in 2001 Anna has worked in teams in London and Sydney before returning home in 2010. Most recently she was the Team Leader of an Outpatient Physiotherapy team at Capital and Coast DHB. 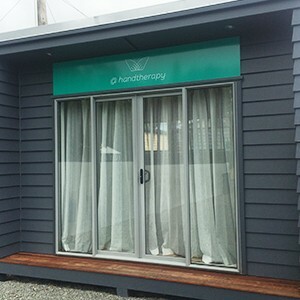 Our purpose built clinic is privately situated next to our home at 162a East Street Greytown. We welcome both private and referred patients 5 days a week. Contact us on 0800 444 100 to make an appointment and a hand assessment. let us get you back to your best. @ Hand Therapy is a specialised service designed to get your hand or wrist back into full working order. If for some reason your hand is painful or you are unable to do certain activities because of your hand, then hand therapy is for you. @ Hand Therapy is designed to help you get back to doing the things you enjoy most. The hand therapist will assess your hand or wrist and, based on that assessment, make a diagnosis. Together with you we will come up with a treatment plan to assist your recovery. If you are interested in visting us at our Greytown clinic please contact us to make an appointment.